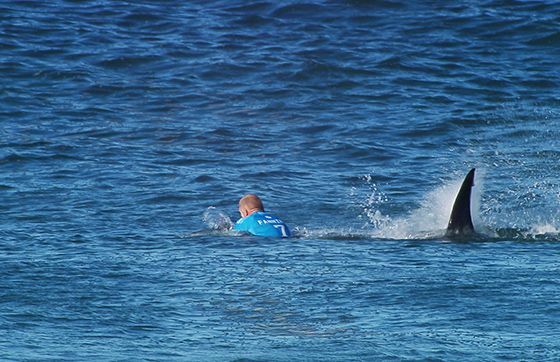 The J-Bay Open Final cancelled after three-time WSL Champion Mick Fanning was attacked by a shark. 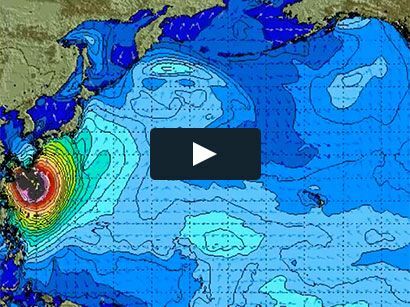 JEFFREYS BAY, South Africa (Sunday, July 19, 2015) – The J-Bay Open, Stop No. 6 on the 2015 Samsung Galaxy World Surf League (WSL) Championship Tour (CT), has been called off following a dramatic incident that involved three-time WSL Champion and defending event winner Mick Fanning (AUS) being attacked by a shark in the opening minutes of the Final against Julian Wilson (AUS). The scene unfolded live on WorldSurfLeague.com as the Australian essentially fought off the two (?) animals before the Water Safety Team quickly arrived and pulled both Fanning and compatriot Julian Wilson into the safety boat. Despite a severed leash, Fanning remained physically unscathed by the incident.